“Jesus told her, ‘Your brother will rise again.’” (John 11:23). “Yes, Martha said, ‘he will rise when everyone else rises, at the last day’” (Verse 24). “Jesus told her, ‘I am the resurrection and the life. Anyone who believes in me will live, even after dying. Everyone who lives in me and believes in me will never ever die. Do you believe this, Martha?’” (Verse 25-26, italics for emphasis). “Yes, Lord, she told him. ‘I have always believed you are the Messiah, the Son of God, the one who has come into the world from God’” (Verse 27). For me and for many, the verses just quoted are from one of the most captivating scenes in all of Scripture. It took place in Bethany, a short distance from Jerusalem. After Jesus spoke these phenomenal words to Martha, he proceeded to back them up by his spectacular feat of raising Lazarus from the dead. As a result, “Many of the people who were with Mary believed in Jesus when they saw this happen” (John 11:45). Not so the Pharisees, priests, and high council. “So from that time on, the Jewish leaders began to plot Jesus’ death” (Verse 53). For those of us who dearly love Israel and the Jewish people—through whom Messiah Jesus was born, lived, taught, performed great miracles, died, was buried, and rose again from the grave—we are grieved that so many Jews, especially the Orthodox among them, refuse to accept the documented historical evidence that Jesus arose from the dead. Thereby, proving that he was who he said he was … Messiah, the Son of God. They still dismiss this fact out-of-hand, for to believe it means (to them) that they must give up Judaism, or more precisely the adherence to the Mosaic Law as the only means of redemption or a right relationship with God. This does not include tens of thousands of Messianic Jews the world over who have eagerly embraced Yeshua (Jesus) as Messiah and personal Savior. There are, however, some Jews (Orthodox, Conservative, Reformed, Liberal) and truth-seeking Gentiles who do accept at face value the historical validity of Jesus’s (factual) resurrection from the dead. These Jews and Gentiles have realized the difficulty (actually the impossibility) of denying both Biblical and secular records that Jesus arose from the dead. For one thing the Biblical account as recorded in all four Gospels and as found in the Jewish Apostle Paul’s epistles are based on eye-witness accounts, subsequently written in the first and second generations of Jesus’s time on this earth. To reject the authenticity of these reliable reports would be no different than rebuffing the historical legitimacy of historians such as Josephus and Tacitus. Or, for that matter, of any 20th or 21st century historian. Paul, himself, experienced a visual, up-close and personal encounter with the risen Christ, although Jesus had already ascended back to heaven. For those not familiar with Paul, I will repeat what several Eye of Prophecy articles have touched on. Formerly called Saul, he was a (radically) devout Jewish Pharisee who would do (and did for a while) anything to protect and defend the Mosaic Covenant of the Law against what was originally called, The Way. First Century followers of Jesus Christ would later be called Christians, the vast majority of whom were Jews, not Gentiles. “I was circumcised when I was eight days old. I am a pure-blooded citizen of Israel and a member of the tribe of Benjamin—a real Hebrew if there ever was one! I was a member of the Pharisees, who demand the strictest obedience to the Jewish law. I was so zealous that I harshly persecuted the church. And as for righteousness, I obeyed the law without fault” (Philippians 3:5-6). Subsequently, Paul was radically changed by the risen Christ. There’s no other way to explain such a profound transformation other than being “born again” from above. As Jesus himself told another devout Jewish leader, a member of the Jewish Sanhedrin of seventy, “…I tell you the truth, unless you are born again, you cannot see the Kingdom of God” (John 3:3). Then later, “Humans can reproduce only human life, but the Holy Spirit gives birth to spiritual life. So don’t be surprised when I say, You must be born again.” (Verse 6-7). The Apostle Paul goes on to say to the believers in Philippi, “…I no longer count on my own righteousness through obeying the law; rather, I become righteous through faith in Christ. For God’s way of making us right with himself depends on faith” (Philippians 3:9). Jesus’s amazing resurrection of Martha and Mary’s brother, Lazarus, took place four days after Lazarus died! Long before that, Jews understood (as validated by modern science) that a person’s body in one way or another begins to decay in the fourth day after death. Dead is dead, but after three days decomposition will normally set in. Those Jews (and Gentiles) who don’t believe IN Jesus and his redemptive sacrifice for them personally, but who nevertheless accept the historical legitimacy of Jesus raising Lazarus from the dead and even the (supernatural) resurrection of Jesus, himself, do so with a disclaimer to minimize the astounding truth and impact of such an achievement. They do so by referring to the two Old Testament accounts of bodily resurrection performed by the mighty prophets Elijah and Elisha. More specifically, they consider Jesus’s resurrection of others and himself (to include by default the Apostle Paul and Peter’s subsequent raising someone from the dead) to no more of an achievement than that of Elijah’s or Elisha’s. People everywhere give varying degrees of credence to the idea of bodily resurrection from the dead. All the way from complete disbelief despite the historical evidence to the contrary, to, “that’s nice,” to “Wow,” but what’s that got to do with me in the 21st century (or any preceding generation). How much evidence is enough for someone to believe that the God of the Bible and two of his prophets, and His Messiah, and The Holy Spirit empowered Apostles had the God-given authority to perform such miracles? Which placed along side of the other mighty miracles found in Scripture, and parallel to the unrivaled fulfillment of hundreds of Biblical prophecies prove beyond any doubt, reasonable or otherwise, that the God of the Bible is (the only) God. As we shall soon see: To a lesser extent with Lazarus, and to a much greater extent with Messiah Jesus, their return from the grave exceeded the resurrections God performed through Elijah and Elisha. My purpose is not to diminish what God accomplished through these two great prophets; rather, to demonstrate that Jesus is greater than all prophets, priests, and kings before him. All religious leaders from all world religions remain in their graves. Not so, with Messiah Jesus. 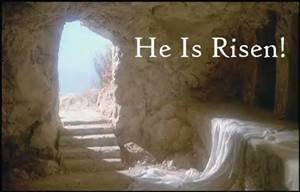 He alone arose from the dead, without dying again! All four Gospels—Matthew, Mark, Luke, and John—record the same astounding account. Disciples Matthew and John (and many others, including 500 people at one time) saw and were with Jesus some of the 40 days after his resurrection. Mark and Luke received first hand testimony from other disciples, mostly Peter. “But very early on Sunday morning the women went to the tomb, taking the spices they had prepared. They found that the stone had been rolled away from the entrance. So they went in, but they didn’t find the body of the Lord Jesus. As they stood there puzzled, two men suddenly appeared to them, clothed in dazzling robes. The women were terrified and bowed with their faces to the ground. Then the men asked, ‘Why are you looking among the dead for someone who is alive? He isn’t here! He is risen from the dead! Remember what he told you back in Galilee, that the Son of Man must be betrayed into the hands of sinful men and be crucified, and that he would rise again on the third day.’ Then they remembered that he had said this. So they rushed back from the tomb to tell his eleven disciples—and everyone else—what had happened” (Luke 24:1-9, emphasis added). Is there a difference between Jesus raising Lazarus and Jesus, himself arising from the dead and the other recorded resurrections in Scripture? Which leads to another, even more probing question: Is there only one (kind of) resurrection? Or putting in another way: Is the body in which Jesus was raised exactly the same body in which he died? Jesus did not die again! OUR REDEEMER LIVES! After forty days, he ascended to heaven where he lives to this very day. Thus, his resurrection was vastly different than the return from the dead of the others in Scripture. Time and space in this article doesn’t permit more explanation, but prior Eye of Prophecy articles have elaborated on the incredible reaction of both the Roman soldiers and the Jewish leaders, none of whom actually denied that Jesus had arisen. Instead, they sought to cover it up with a pitiful story that Jesus’s disciples had (somehow) “stolen” the body right in front of and in spite of several well-armed Roman soldiers standing guard at the tomb. When, in fact, Roman soldiers simply didn’t guard the tomb of the dead. Why would they? Unless, that is, the Jewish religious leaders actually contemplated that Jesus could do and just might do what he said he would do—arise from the grave! 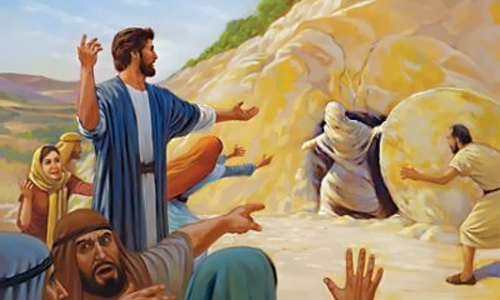 If anyone is going to deny or ignore the amazing reality or reduce the universal impact of Jesus rising from the dead in an indestructible everlasting body, then they will need to offer some other explanation (historically) of what happened to Jesus after the stone was rolled away. Paraphrasing what many have said: The stone was rolled away not for Jesus to see and walk out, but for others to see and walk in. There is no doubt … the evidence is indisputable: Jesus’s resurrection was a PERMANENT return from the grave, never to die again. Which, in stark contrast, is (infinitely) better than someone dying a second time after being raised from the dead. Which poses a huge problem for those who contend that Jesus’s resurrection was no greater or different than the handful of other returns from the dead. Because our Messiah arose from the grave with an everlasting new body, he gives all who believe in him the same awesome privilege—everlasting life in a real (spiritual) body, to all who believe and receive him. Note: Several Eye of Prophecy articles have discussed resurrection and heaven, but a few have been devoted primarily or almost exclusively to this topic. Please consider, for example, reading three of them: To Be or Not To Be … In Heaven (published 11-1-14); Spiritual Bodies … A Contradiction of Terms? Part I & II (posted 10-3 & 10-10-15). Resurrection is resurrection … a truly divine miracle. But there’s more proof that Jesus of Nazareth’s resurrection was substantially different and significantly superior to those who were raised from the dead only to die again in their same bodies. The setting is the prophet Elijah, on instructions from the Lord, boldly proclaiming to Israel’s King Ahab, “…As surely as the Lord, the God of Israel, lives—the God I serve—there will be no dew or rain during the next few years until I give the word!” (I Kings 17:1). As it turned out it was 3 ½ years of drought … absolutely no rain at all. The purpose of which was to get Ahab and Israel’s attention to abandon their detestable idol worship of Baal, the god of rain, crops, and fertility. To turn back to the only true and living God, whom Elijah served. Yet, even Elijah was affected by the lack of rain. During the drought, the Lord told Elijah to take refuge by the Kerith Brook, near the Jordan River. There, God told him, “Drink from the brook and eat what the ravens bring you, for I have commanded them to bring you food” (I Kings 17:4). Amazing, yet perhaps a “small miracle” compared to some of the mighty wonders performed by God throughout Scripture. Could anyone but the Lord “command” birds to bring Elijah, “…bread and meat each morning and evening…” (Verse 6). “…There will always be flour and olive oil left in your containers until the time when the Lord sends rain and the crops grow again!” (Verse 14). Reminds me of the Lord Jesus twice feeding crowds of thousands with just a few fish and loaves of bread, with more left over than before the banquet began! However, God wasn’t done with his miracles for the widow and Elijah. Do you remember what happened next? “Some time later the woman’s son became sick. He grew worse and worse, and finally he died. Then she said to Elijah, ‘O man of God, what have you done to me? Have you come here to point out my sins and kill my son?’ But Elijah replied, ‘give me your son.’ And he took the child’s body from her arms, carried him up the stairs to the room where he was staying, and laid the body on his bed. Then Elijah cried out to the Lord, “O Lord my God, why have you brought tragedy to this widow who has opened her home to me, causing her son to die?’” (I Kings 17:17-20). Both the widow and Elijah poignantly and even pointedly questioned God’s purpose. The widow blamed Elijah and Elijah pleaded passionately with the Lord to explain why “God brought” this calamity on the widow. Certainly Elijah understood that the passing of the child was part of the painful cycle of life that befalls human beings even when things seem to be going well. But he also perceived that there had to be a reason for this untimely death of the child and seemingly (thinking) unfitting misfortune for the boy’s mother. *Note: In that regard, God’s purpose for allowing the widow’s son to die is remarkably similar to Jesus allowing Lazarus to die, even though Messiah could have healed Lazarus before death. Practically everyone in that region (indeed, throughout all Israel) knew that Jesus had healed people on many occasions. Some actually said so, citing one of those miracles: “But some said, ‘This man healed a blind man. Couldn’t he have kept Lazarus from dying?’” (John 11:37). Then Elijah, “…stretched himself out over the child three times and cried out to the Lord, ‘O Lord my God, please let this child’s life return to him.’ The Lord heard Elijah’s prayer, and the life of the child returned, and he revived! Then Elijah brought him down from the upper room and gave him to his mother. ‘Look!’ he said, ‘Your son is alive!’” (I Kings 17:21-23). Notice that the Lord didn’t rebuke the widow or Elijah for confronting him over this premature, but nevertheless all too common occurrence in ancient Israel; also the tragic death of children down through the ages, the world over. But then we live in a fallen world full of murder, war, disease, accidents, famine, and hardship in general. All because of sin’s dread curse on the human race. Many people blame God for their misfortune, even though they seldom or never seek him. Conversely, few thank the Lord for blessings and well-being. Instead, God simply answered Elijah’s prayer; thereby, demonstrating his power over life and death. It was a precursor to the resurrection power of Jesus Christ over the grave, once and for all conquering the ultimate death. Which is eternal separation from God for those who decline God’s offer of eternal life in a new and permanent spiritual body, available only through trusting in Christ Jesus as personal Lord and Savior. Please notice another important feature of this miracle God performed through Elijah: The widow’s son had been dead for only a short time, as inferred clearly by the text. Dead is dead, but if there’s such a thing as a limited miracle, the Lord measured this miracle to restoration of the boy soon after he died. This “restriction” applies only when contrasted to the time-lapse for both Lazarus and Jesus in their respective tombs. Time/space doesn’t permit extensive passage quoting or elaboration of another resurrection miracle that took place a few years later by Elijah’s protégé, Elisha; the account can be found in II Kings Chapter 4. Although the circumstances were different than that of Elijah and the widow’s son, the result was the same: Elisha raised a young boy from the dead! Though the time-lapse is not specifically stated, the text strongly suggests that Elisha (who had left the family’s home), returned that day or no later than the following day when told about the boy’s death. 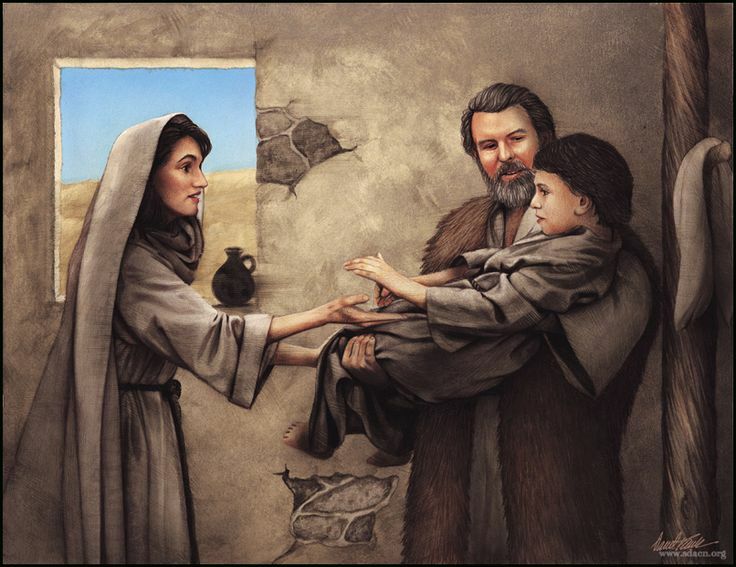 Like with Elijah’s situation, Elisha found the boy had been placed on a bed that had been provided for Elisha during his visit with the family. “Then Elisha summoned Gehazi. ‘Call the child’s mother!’ he said. And when she came in, Elisha said, ‘Here, take your son!’ She fell at his feet and bowed before him, overwhelmed with gratitude. Then she took her son in her arms and carried him downstairs” (II Kings 4:36-37). I say again: How awesome is that?! Once again, we see the second miracle of resurrection in the Old Testament involving a boy who had been dead for a short time, perhaps a day at the most. Neither boy had been buried, which is what Jews normally would do within 24-48 hours of death. The resurrection that the Apostles Peter and Paul performed on behalf of a young girl and a young boy (by the power of the risen Messiah) also took place within a short time of death … with the boy Paul raised occurring immediately after the boy died by falling from a second story window. Not so with Lazarus, or with Jesus. “…Lazarus’s sickness will not end in death. No, it happened for the glory of God so that the Son of God will receive glory from this” (John 11:4). “So although Jesus loved Martha, Mary, and Lazarus, he stayed where he was for the next two days” (Verse 5). What did Jesus mean by saying that Lazarus’s illness would not end in death? 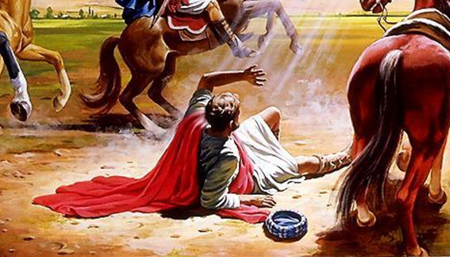 He knew at the time, and we know from the record that Lazarus had actually died. Two-part answer: (1) although Jesus knew that Lazarus had already died, he was giving his disciples the strongest of clues … that Jesus had the same authority over life and death that God (his Father) had. Therefore, the death of Lazarus would be temporary; because when understood in the context of Messiah Yeshua’s power as the Son of God, it would be as though Lazarus hadn’t really died at all (in God’s view). Why? Because Lazarus, at Jesus’s command, would return from the grave in his earthly body. We know this because Jesus used a metaphor by saying, “Our friend Lazarus has fallen asleep, but now I will go and wake him up” (John 11:11). (2) In a much broader scope, Jesus was also referring to his ultimate power and triumph over, not only physical death, but also eternal death … what Scripture calls the second death. Which will be the lake of fire inhabited by all who will be raised from the dead at the end of the Millennium—those who have died without accepting Christ as Savior (Revelation 20:11-15). Although Martha knew that Jesus was the Messiah, she hadn’t yet comprehended the awesome truth that Jesus was/is, “The Resurrection and the Life.” He not only could raise Lazarus who had been dead for four days with his body beginning to decay (stink, as Martha put it), but Messiah Jesus would in just a few more days arise from the dead himself. Without, however anyone standing outside his tomb shouting, “Come out,” as Jesus commanded Lazarus to do, by name! “For you will not leave my soul among the dead or allow your holy one to rot in the grave” (Psalms 16:10). Later, in the first and perhaps greatest sermon ever preached (Day of Pentecost), the Apostle Peter quoted the above verse from King David. In this astounding message, Peter presented Old Testament and New Testament evidence that Jesus of Nazareth was, in fact, the Messiah. Peter exclaimed: “But God released him from the horrors of death and raised him back to life, for death could not keep him in its grip” (Acts 2:24). Then Peter quoted what King David wrote about the Messiah; that David wasn’t referring to himself because, “… he died and was buried, and his tomb is still here among us” (Verse 29). Meaning David’s body was still in his grave. I believe this prophecy goes beyond the obvious implication of Messiah remaining dead for an indefinite period of time. Rather, it alludes to the length of time before his body began to decay. Not only that, but this stunning prophecy clearly shows that Messiah must die (be killed as predicted in other Messianic passages). How could he be in the grave unless he was dead? However, he wouldn’t be in the grave long enough for decomposition to begin! Jesus was the first man to arise from the dead with a glorified spiritual body that was still a body (not a spirit). He ate and drank with his disciples, he talked and walked with them and with two men on the road to Emmaus, he performed more miracles including sudden appearances in closed and locked rooms, and he could be touched. With this same magnificent body, he lives today and will live forever. 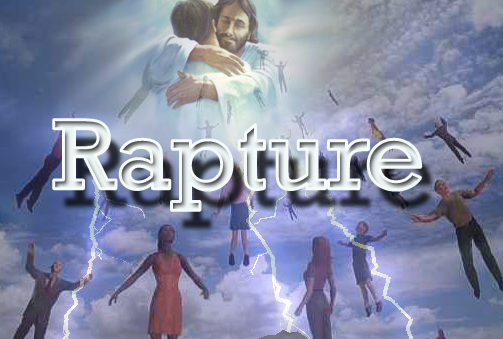 Accordingly, God the Father has given Jesus authority to raise believers from the dead in like manner at the resplendent Rapture of believers—which is the first resurrection of the dead, along with tribulation saints who will die later in the Great Tribulation. As in the first century many observant Jews today (and Gentiles) sadly, even tragically, insist that the resurrection of Messiah Jesus was for all intents and purpose irrelevant. That is, if they even acknowledge this historical fact in the first place. They fail to realize or refuse to accept the overwhelming evidence that Jesus was seen by hundreds of witnesses after he arose from the dead (I Corinthians 15:5-8). Jewish law, much of which was adopted into Roman law—both of which form the foundation of modern-day system of justice—allowed the testimony of two or more witnesses to find someone guilty or innocent of a crime. Yet many Jewish and Gentile religious leaders today ignore the first-hand account of completely reliable testimony that further affirms Jesus ascended alive into heaven. Furthermore, all logic and additional Scriptural writings plainly conclude that Messiah Jesus is still in heaven awaiting the appointed time for his glorious return to Jerusalem to make all things right in the wrong world of ours. Read with me the astonishing account of what happened on the Mount of Olives: “After saying this, he was taken up into a cloud while they were watching, and they could no longer see him. As they strained to see him rising into heaven, two white-robed men suddenly stood among them. ‘Men of Galilee,’ they said, ‘why are you standing here staring into heaven? Jesus has been taken from you into heaven, but someday he will return from heaven in the same way you saw him go!’” (Acts 1:9-11, italics for emphasis). Listen to the words of the prophet concerning Messiah: “Then the Lord will go out to fight against those nations, as he fought in times past. On that day his feet will stand on the Mount of Olives, east of Jerusalem…” (Zechariah 14:3-4). Here (and other places in Scripture) Messiah is called Lord. This is clearly a reference to the Son of God who came to us in human flesh, fully man and fully God. God the Father is Spirit and will always be Spirit. Thus, the Father will not step foot on the Mount of Olives. But his Son, Jesus has and will do so again. Jesus proved that he was Messiah, Son of God, by rising from the dead. Not in the same fashion as Lazarus or those raised by Elijah, Elisha, Peter, Paul, or Jesus himself; rather, with a brand new body fashioned for eternity. Those who believe in Him, and make a personal decision to receive him as Messiah and Savior will also live forever in a glorious resurrected body. How much historic evidence does anyone need or want? It’s all there, meticulously and accurately recorded in perpetuity for all generations before and after the time of Christ. Thus, it is not an issue of the mind … of whether Messiah Jesus actually lived, died, and rose again. It becomes a matter of the heart. Can you, will you simply agree with God and say, “yes,’ to his Son. It truly is a matter of eternal life or eternal death. Please understand: I am not comparing one miracle of resurrection to another just for the sake of comparison … on say, a scale of one to ten. Instead, differences are pointed out highlighting Jesus’s accomplishment as the FINAL resurrection for all time. Indeed, he is the resurrection and the life … eternal life. “But we are citizens of heaven, where the Lord Jesus Christ lives. And we are eagerly waiting for him to return as our Savior. He will take our weak mortal bodies and change them into glorious bodies like his own, using the same power with which he will bring everything under his control” (Philippians 3:20-21). 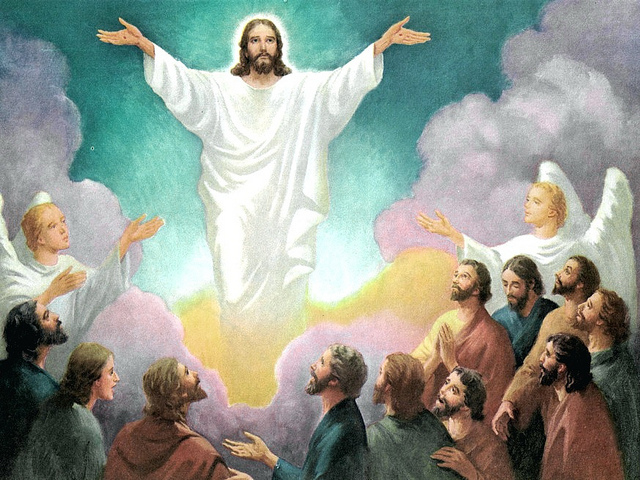 Daniel was given a vision of both the ascension of Jesus into heaven after he arose from the dead and also his glorious return that will take place at the end of the Great Tribulation; with the Tribulation commencing soon after the Rapture, which will take place at any moment of any day. “As my vision continued that night, I saw someone like a son of man coming with the clouds of heaven. He approached the Ancient One and was led into his presence. He was given authority, honor, and sovereignty over all the nations of the world, so that people of every race and nation and language would obey him. His rule is eternal—it will never end. His kingdom will never be destroyed” (Daniel 7:13-14). Paul was well trained in the Old Testament Torah and prophecies. Because of his personal encounter with the risen Messiah; because he fully realized that all of the ancient prophecies of Messiah were fulfilled in Jesus of Nazareth; and because he was inspired by the Holy Spirit, we can confidently conclude that the Son of Man seen by Daniel was none other than Jesus Christ. “…When he appeared in human form, he humbled himself in obedience to God and died a criminal’s death on a cross. Therefore, God elevated him to the place of highest honor and gave him the name above all other names, that at the name of Jesus every knee should bow, in heaven and on earth and under the earth, and every tongue confess that Jesus Christ is Lord, to the glory of God the Father” (Philippians 2:7-11).